IIt was here that the world’s human story first began, a staggering four million years ago. Today a World Heritage Site, South Africa’s Cradle of Humankind stands as humbling evidence of the earliest origin of modern humans, who lived and evolved here at the tip of the continent before spreading to the rest of the world. This is where it all started, and we can’t wait to welcome you home. 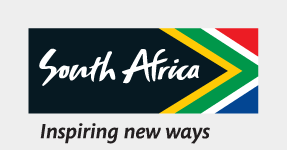 SSouth Africa is a melting pot of culture with 11 official languages. TThe spirit of ancient Africa can still be seen today at the site of the lost Iron Age Kingdom of Mapungubwe, an advanced civilisation famous for its gold, which was traded as far as Asia hundreds of years ago. That spirit lives on in culture, tradition and myths, none more fascinating than the Limpopo province’s Rain Queen Modjadji who still rules today. JJourney back to a time of war in KwaZulu-Natal, and walk the haunting battlefields where the mighty Zulu Kingdom fought under the reign of the warrior King Shaka Zulu. Then meet the proud Zulu culture of today at one of many cultural villages, and be charmed by their famous animal prints, art, food and traditions passed down over centuries. Of course, you can’t leave South Africa without immersing yourself in the inspiring story of Nelson Mandela. Follow his footsteps from humble beginnings at Mvezo in the Eastern Cape to his former home in Soweto and on to the tiny prison cell on Robben Island where he spent 18 of his 27 years in prison. WWhile South Africa embodies our most ancient roots, we have evolved into an amazing mix of modern cultures. Share in the truly South African urban and rural settings that celebrate our diversity and way of life, like buzzing urban markets, famous townships like Soweto, cosmopolitan bars filled with contemporary beats and good times, theatres, jazz clubs and traditional restaurants to mention a few. Diversity is South Africa’s proud legacy, and you are invited to become part of the celebration of all nations and cultures by meeting and sharing a South African-style handshake and more than a few memories with those who call this place home. To be in South Africa is to feel part of a story that goes back to the start of our shared humanity, the first chapter of our story and everyone else’s, and to be welcomed back “home” not as a traveller, but as a friend.